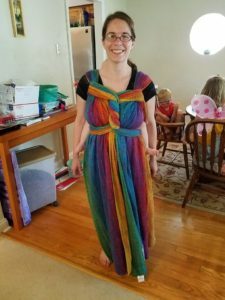 We try to introduce a general teaching topic at our meetings each month, and for August we’re focusing on Fancy Finishes. 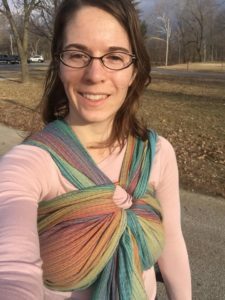 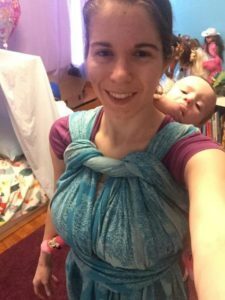 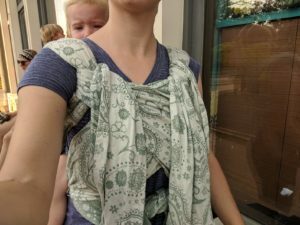 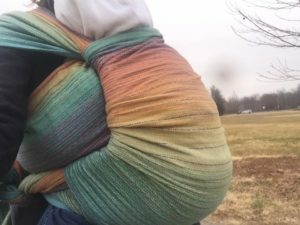 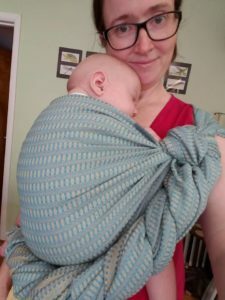 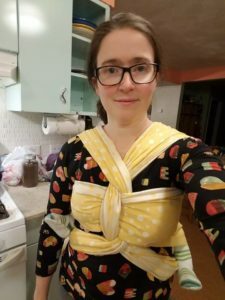 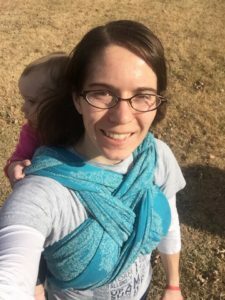 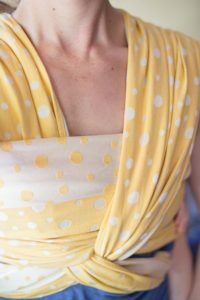 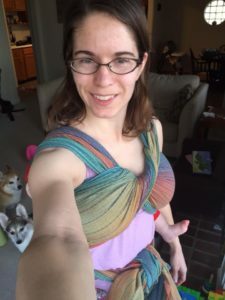 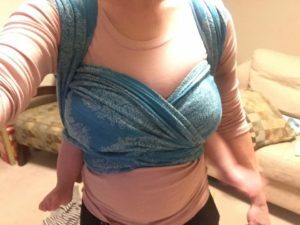 When you use a woven wrap or a meh dai with wrap straps (or even a reverse onbuhimo), there are many different carries and many ways to tie off those carries. 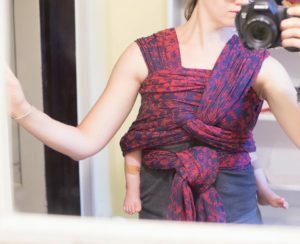 Sometimes you choose a tie off method for its comfort, support, or adjustability, but sometimes you might just want to add a little flourish to your day! 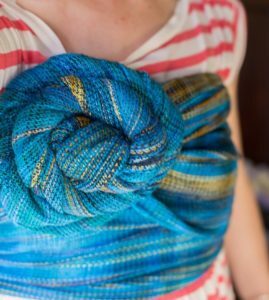 Although many fancy finishes require a midsize to long wrap, there are also options for shorter wraps. 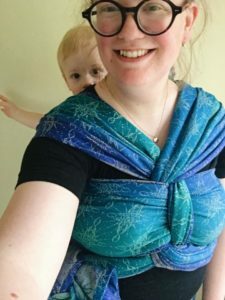 We can’t possibly cover every finish in one blog post but we’ll post some common ones with links to video tutorials, as well as link to some other blogs and tutorial playlists you might find helpful. 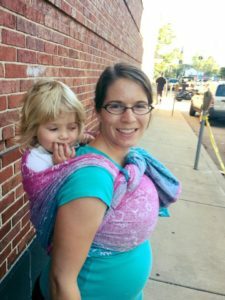 If you’d like in-person help with some new carries or finishes, visit us at any of our five St. Louis area meetings in August! 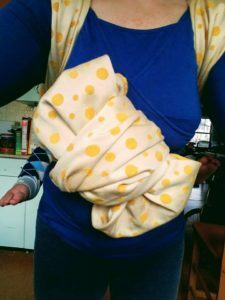 First, you have to know how to wrap a Double Hammock – here is a tutorial for the basic carry tied with a double knot in front. 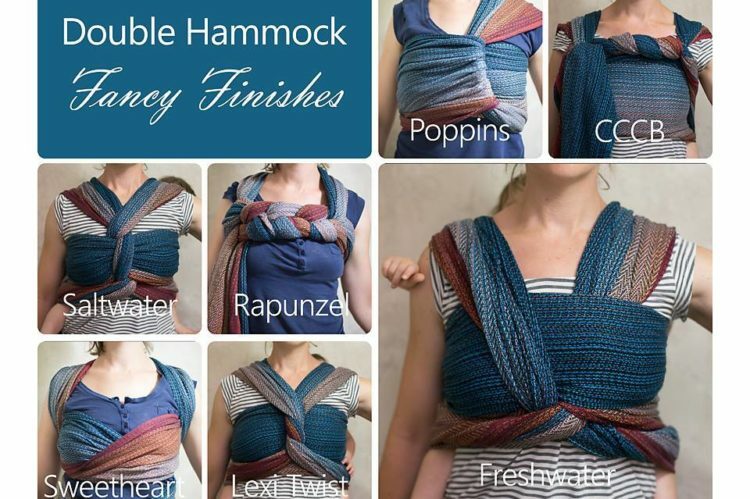 And now for the finishes! 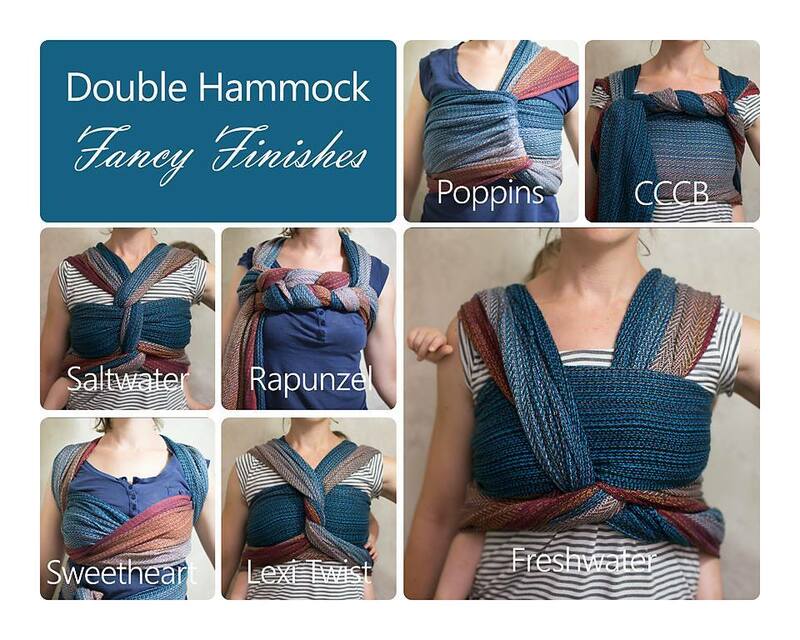 So even if you only knew one carry, the Double Hammock (DH), you can mix it up with all these finishes! 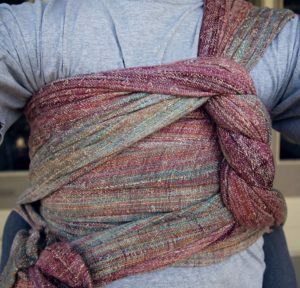 Another very versatile carry is a basic Rucksack (ruck for short). 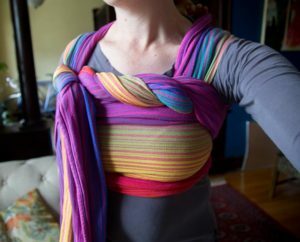 It is also a back carry that can be accomplished with various size wraps depending on how you finish it. 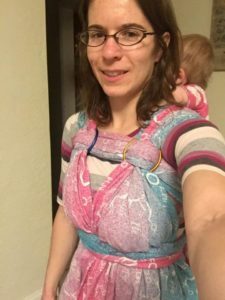 Many can finish a ruck with a candy cane chest belt (cccb) in a size 2 – 4, or you can use a longer wrap for different finishes or gloriously long tails. 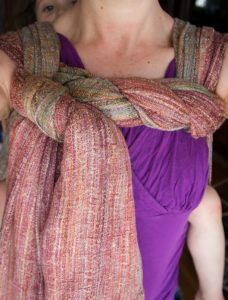 When new wrappers ask for advice on what wrap to purchase, I always say to start with one you love the look of. 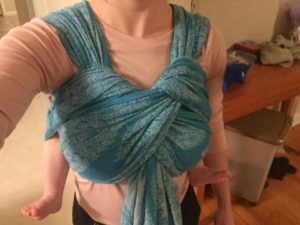 You are more likely to use it, and if this is going to be a main accessory for days (weeks, months) on end, it should be something you love wearing! 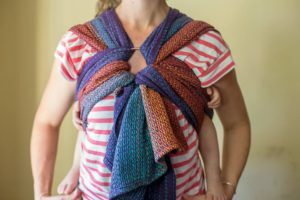 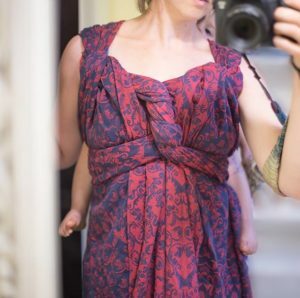 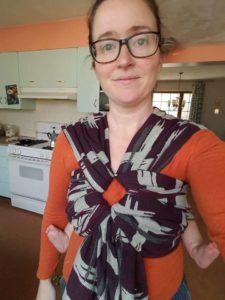 And now with a few fancy finishes you can accessorize any way you like, because babywearing can be functional *and* beautiful.